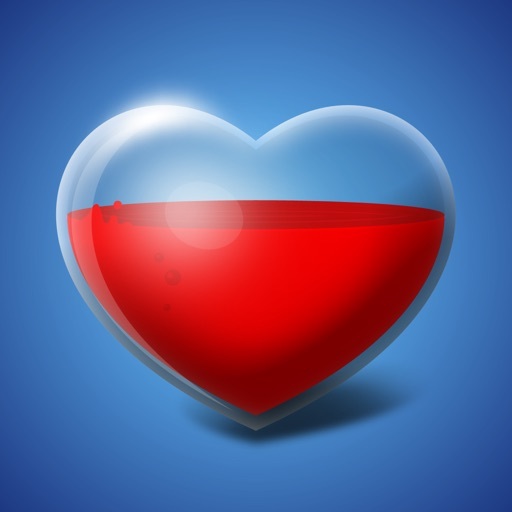 Health Tracker & Manager for iPad - Personal Healthbook App for Tracking Blood Pressure BP, Glucose & Weight BMI by XLabz Technologies Pvt. 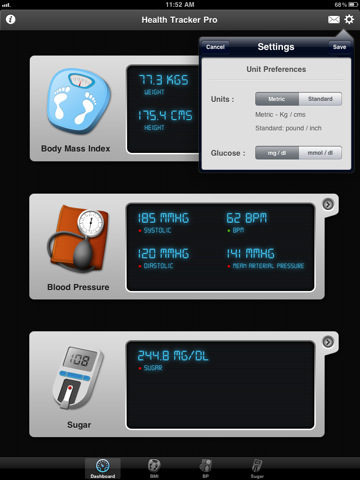 Ltd.
Why buy three different apps to track BP, Sugar and BMI individually when you can have all of them packed in one and better than that - for a price which is less than half of all of them put together. HealthTracker has individual screens for each of these categories and the inferences are color coded to give a fair understanding of potentially risky values and safe limits. 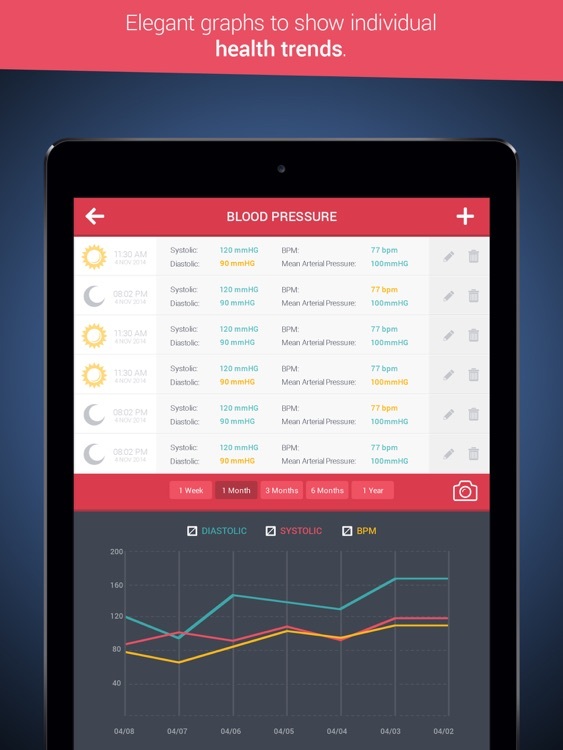 The application automatically computes inferred values like Mean Arterial Pressure and Body Mass Index based on the values entered thus making it easy for you and your doc to quickly understand your health condition. 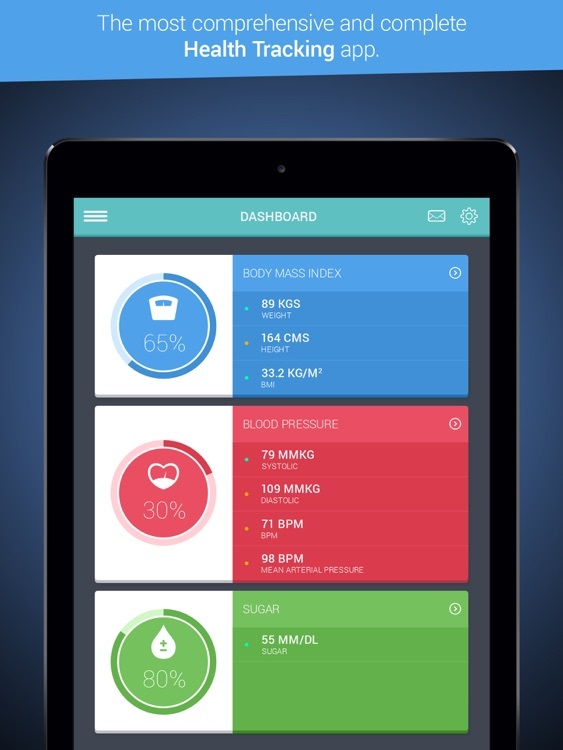 Charts show health trends in a visual graph which can be toggled to see individual values, switch between ranges and a snapshot of the screen taken and stored on your device for future reference. Want more? You can also put in individual Notes for each of these readings to keep a note for yourselves or for your doctor about the type of reading (fasting sugar etc.,) or virtually anything else which you want to keep a note for yourselves or for your doctor. 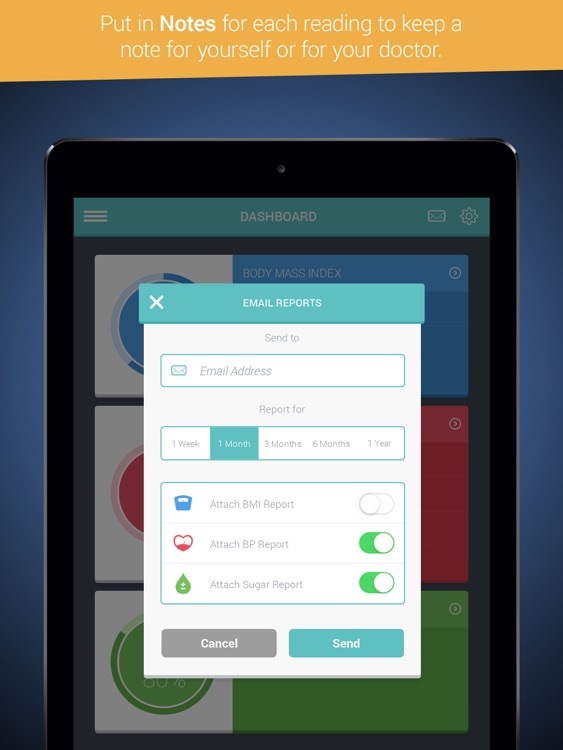 - A simple and intuitive user interface. - Color coded values and indicators to get an immediate sense of values. - An elegant dashboard which shows your last readings and if they were under control. - Automatic computation of Mean Arterial Value which is a key indicator of one's heart's health. 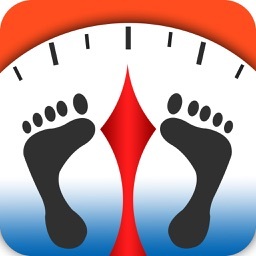 - Ability to track Weight & Height. 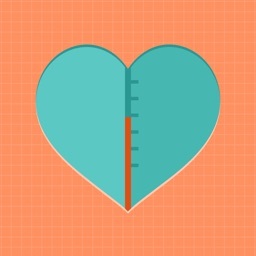 - Automatic computation of Body Mass Index (BMI) which is a key indicator of obesity. 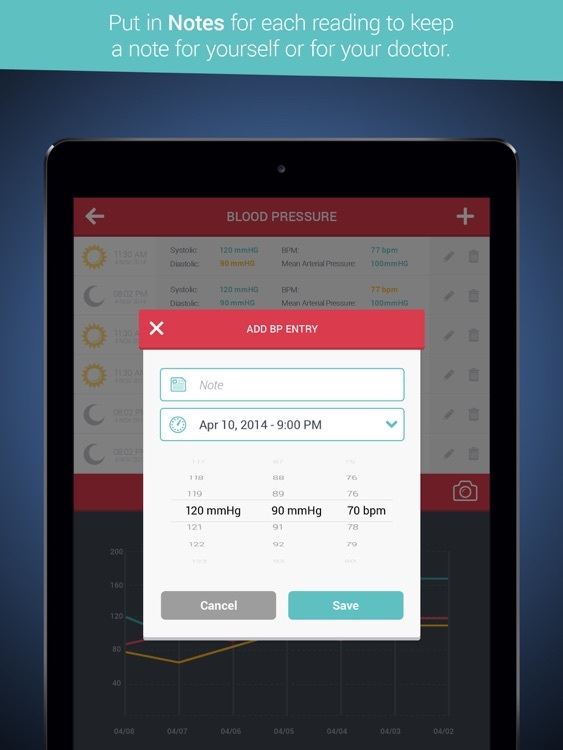 - Customizable date export feature which allows sending the recorded readings to yourselves or your doctor. The application was developed keeping a common man in mind and hence sports a very simple but elegant design which is easy to use and yet functional. Start using HealthTracker today and see for yourselves how easy it is to keep track and get insights into your health condition and finally take corrective steps to improve your health this new year ! 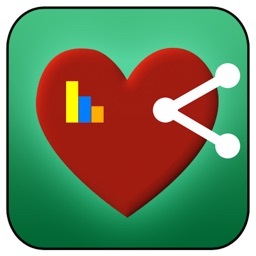 HealthTracker for iPad is a complete health tracking application. 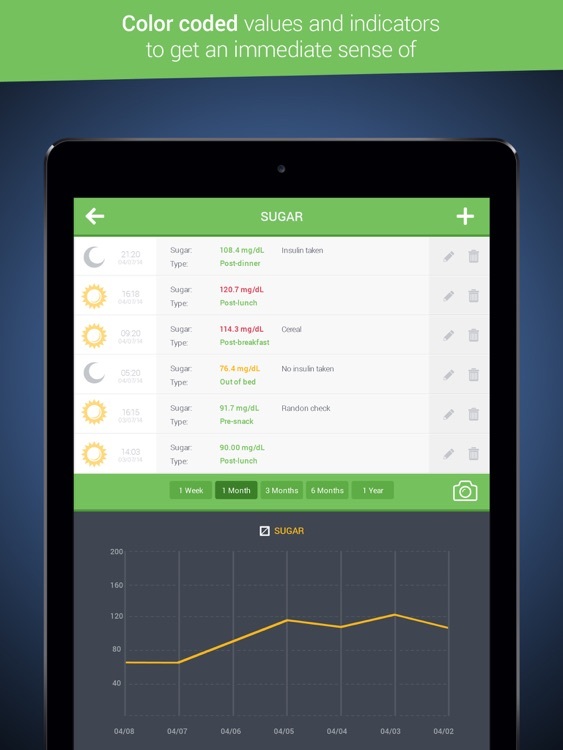 It allows you to monitor three major health areas; blood sugar, blood Pressure, and body mass index. 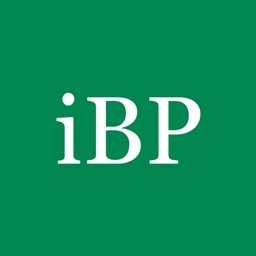 It relies on the user inputing correct information, but if used properly can be very helpful.